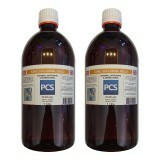 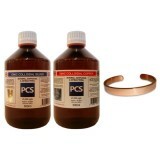 Premium Quality Colloidal Silver & Copper - Approx. 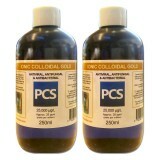 25ppm / 25,000ug/litre Antibacterial, Antiviral & Antifungal - All Batches Tested Fo..
2 x 250ml bottles (500ml total) of our premium colloidal gold made using absolutely pure fine gold.. ..
2 x 500ml bottles (1 Litre total) of our premium colloidal gold made using absolutely pure fine gold. 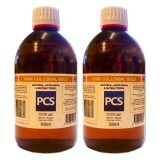 ..
SPECIAL OFFER - MASSIVE SAVINGS BY BUYING IN BULK 2 x 1L bottles (2L total) of premium quality colloidal gold made to approx. 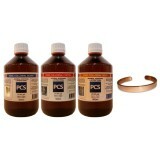 25ppm (parts per mill..